The Department of Trauma, Hand and Reconstructive Surgery at the University Hospital Frankfurt covers all fields of traumatology ranging from minimally invasive joint surgery up to a comprehensive care of patients with the most severe injuries. The department is certified and is the maximum care hospital of interregional importance. It is headed by Prof. Dr. med. Ingo Marzi. The service range includes surgical treatment of injuries and orthopedic clinical pictures, including hand surgery, pediatric traumatology, spine surgery and reconstructive orthopedic surgery. In cooperation with the Association of Professional Doctors, the specialists of the department advise patients on numerous issues and regularly supervise the process of treatment of patients with occupational injuries, traumas sustained on the way to work. A highly qualified team of doctors provides comprehensive medical care from the admission to an intensive care unit or general department and up to the outpatient postoperative treatment. The introduction of innovative clinical and scientific research projects contributes to the continuous improvement of medical care and treatment results. 1977 – 1983 Study of Human Medicine at the Johannes Gutenberg University of Mainz. 1984 – 1985 Staff surgeon in Kastellaun. 1985 Doctorate in medicine in the field Neurology at the Johannes Gutenberg University of Mainz. 1985 – 1986 Assistant Physician of the Surgical Department of the Hospital St. Marienwoerth in Bad Kreuznach. 1987 – 1988 Research Fellowship of the German Research Foundation (DFG) at the Department of Pharmacology of the University of North Carolina, USA. 1986 – 1996 Assistant Physician and Senior Physician of the Department of Surgery, University Hospital of the Saarland in Homburg. 1993 Habilitation in Surgery at the Medical Faculty of the Saarland University in Homburg. 1996 – 1999 Leading Senior Physician of the Department of Trauma, Hand, and Reconstructive Surgery at the University Hospital of the Saarland in Homburg. 1998 Visiting Professor at the Faculty of Medicine of the Saarland University in Homburg. 1999 – 2001 Acting Head of the Department of Trauma, Hand, and Reconstructive Surgery at the University Hospital of the Saarland in Homburg. 2001 University Professor of the Goethe University in Frankfurt am Main. Since 2001, Head of the Department of Trauma, Hand, and Reconstructive Surgery of the University Hospital Frankfurt am Main. 1992 Board certification in Surgery. 1992 Specialist subject knowledge certificate in Emergency Medical Service. 1996 Additional qualification Hand Surgery. 2005 Board certification in Orthopedics and Traumatology. 2010 Additional qualification Sports Medicine. 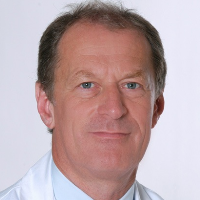 Head of the Scientific Committee of the German Society for Trauma Surgery (DGU) (2009 – 2014). President of the Section of Fundamental Research of the German Society of Orthopedics and Traumatology (DGOU) (2011). President of the European Society for Trauma & Emergency Surgery (ESTES) (2011). Congress President of the World Trauma Congress (WTC) (2014). Presidency Member of the German Society for Trauma Surgery (DGU) (since 2015). President of the German Society of Orthopedics and Traumatology (DGOU) (2017). President of the German Society for Trauma Surgery (DGU) (2017). German Interdisciplinary Association for Intensive and Emergency Medicine (DIVI). Association of Southern German Orthopedists and Trauma Surgeons (VSOU). European Society for Trauma & Emergency Surgery (ESTES). Association for Orthopedic Research (AFO). Department of Trauma, Hand and Reconstructive Surgery.